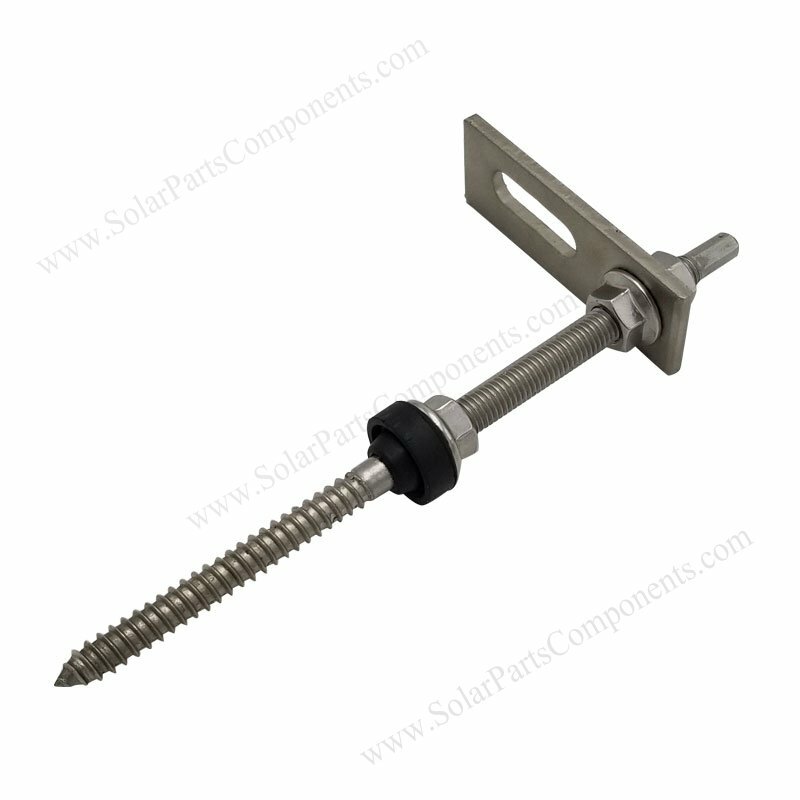 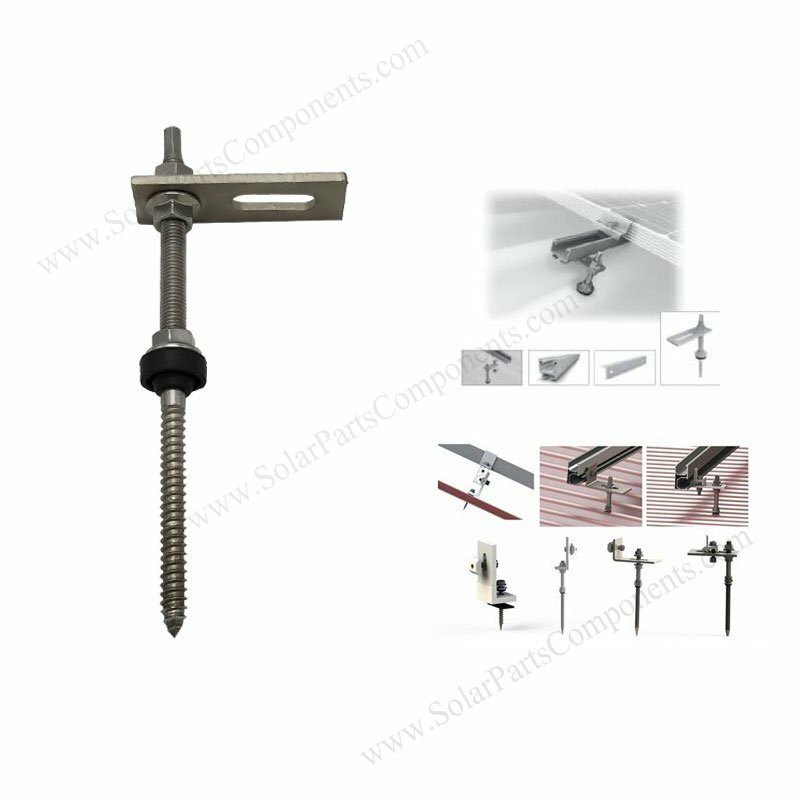 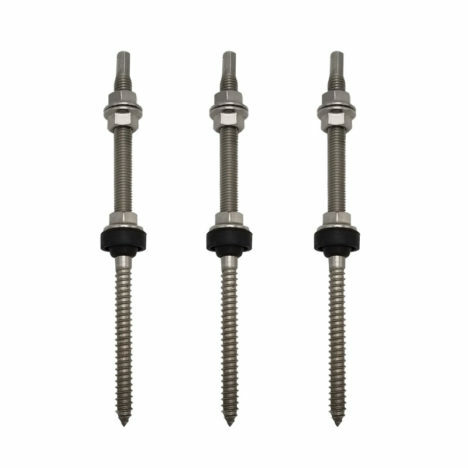 Our solar hanger bolts are a SUS304 fasten parts to fixed rails and roofing mountings . 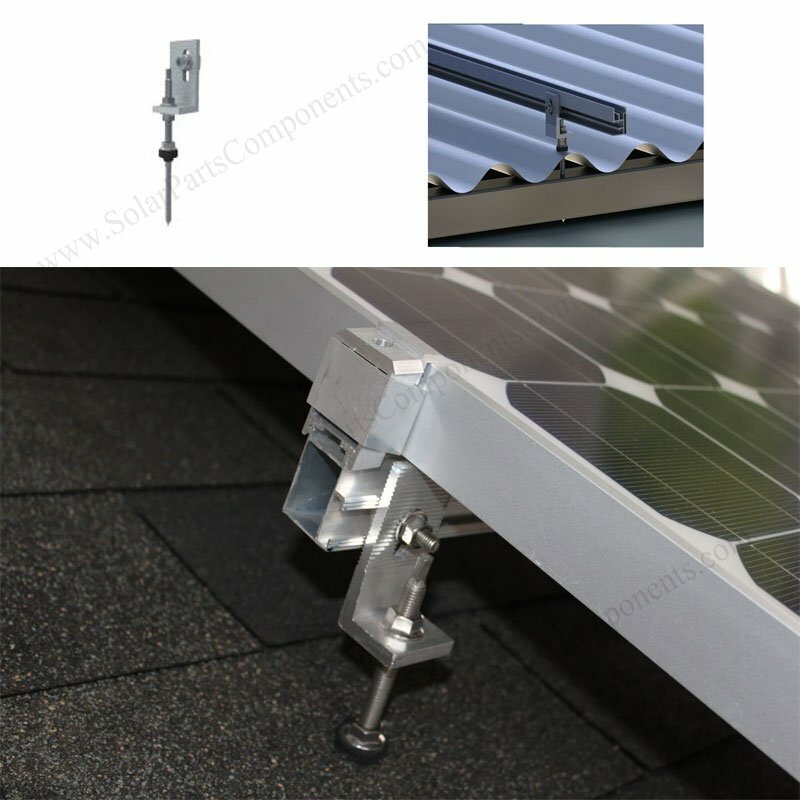 Two length 200mm and 250mm options can be suitable for adjust distance between brackets / L foot rails and metal roofing . 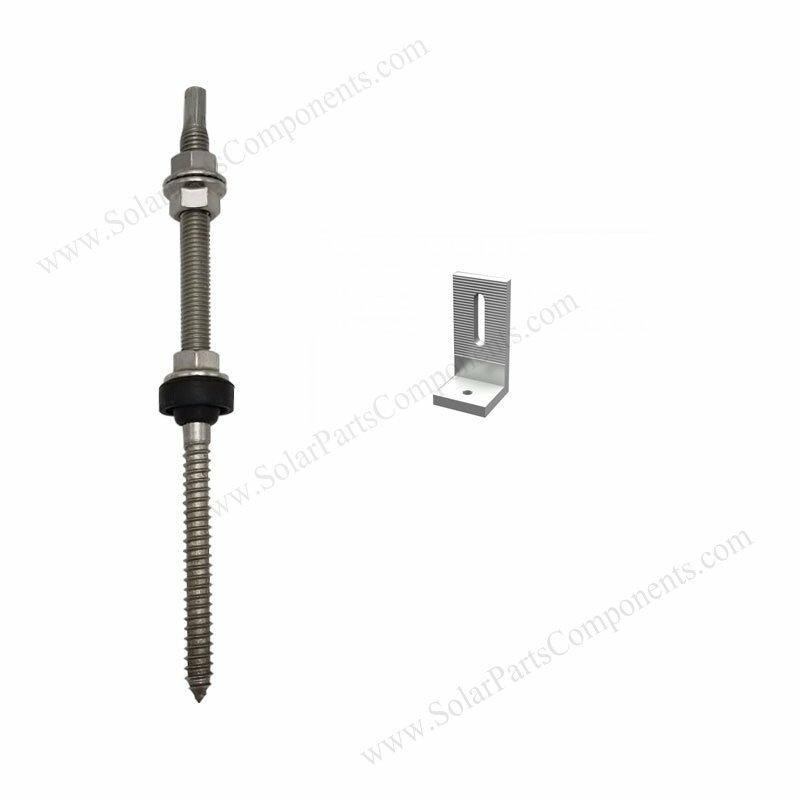 This solar hanger bolts are designed for trapezoidal / zinc / corrugated / sandwich metal roof profiles . 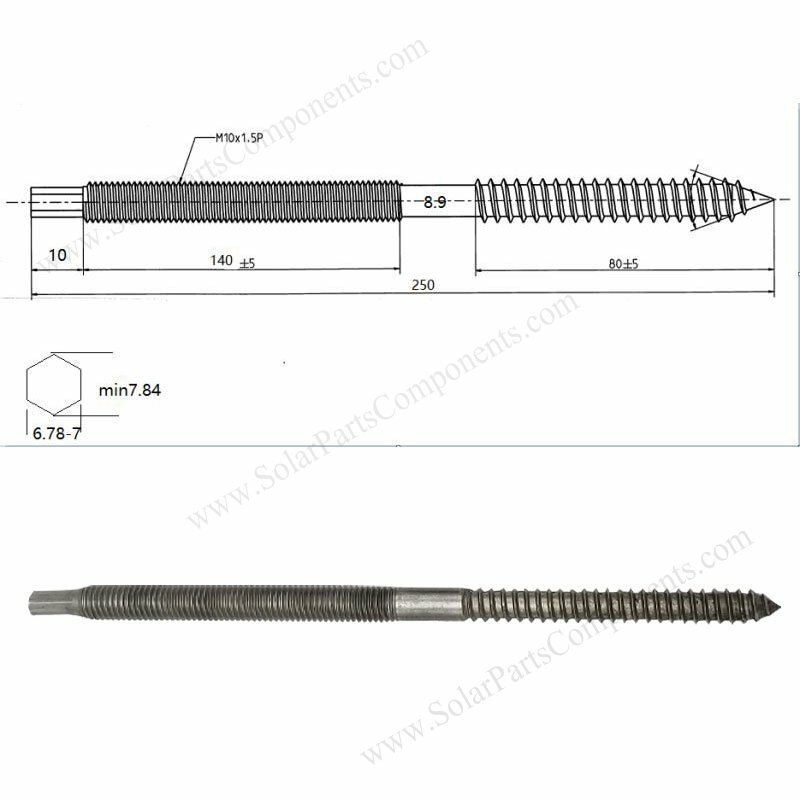 plate with long slot , EPDM nodes . 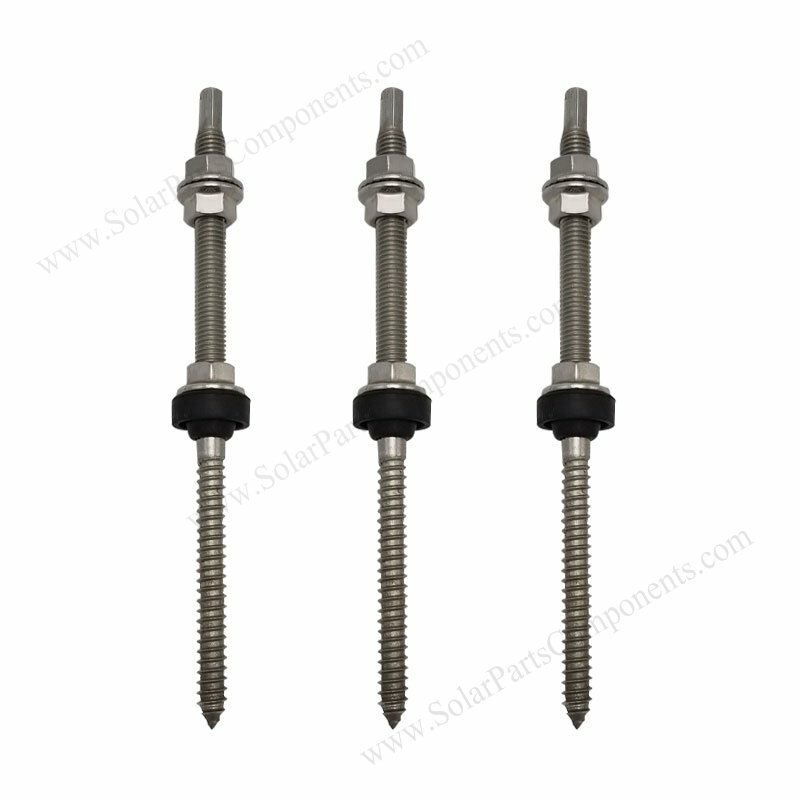 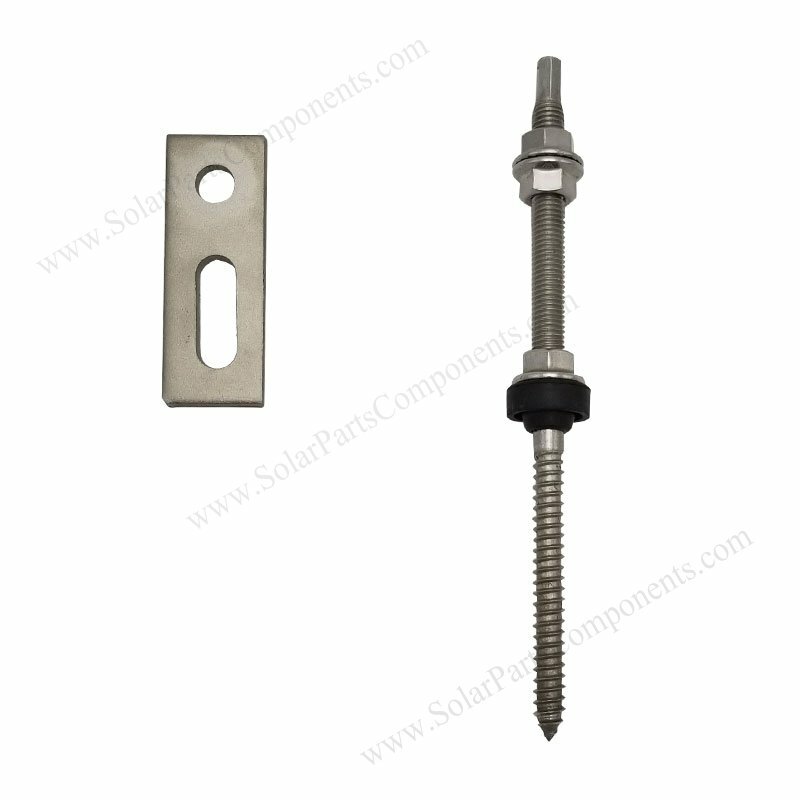 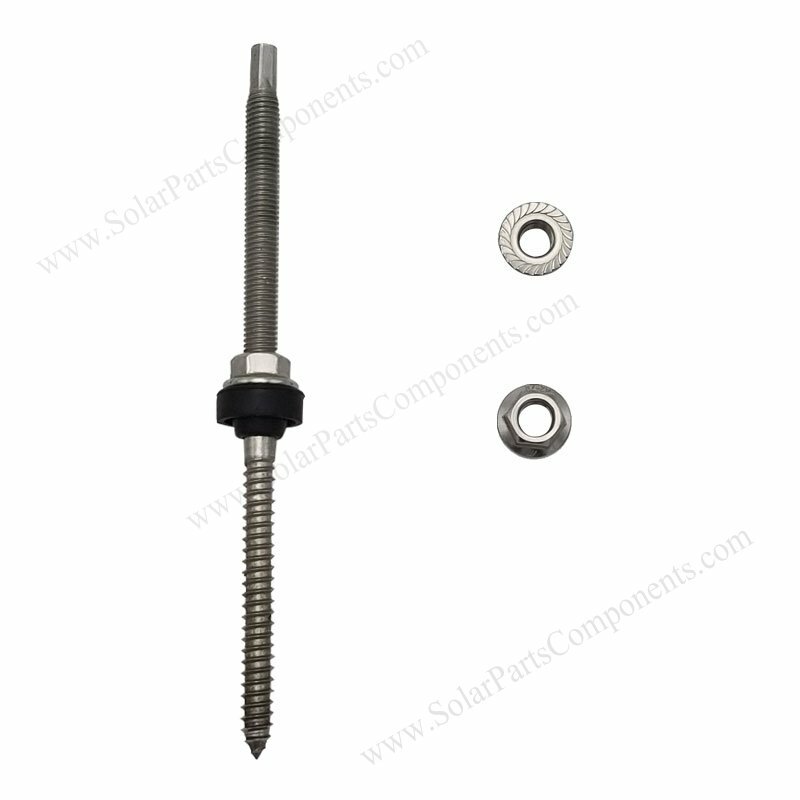 This solar roof fasten bolts can be well used with adapter plates, L-feet for solar mounting and racking systems . 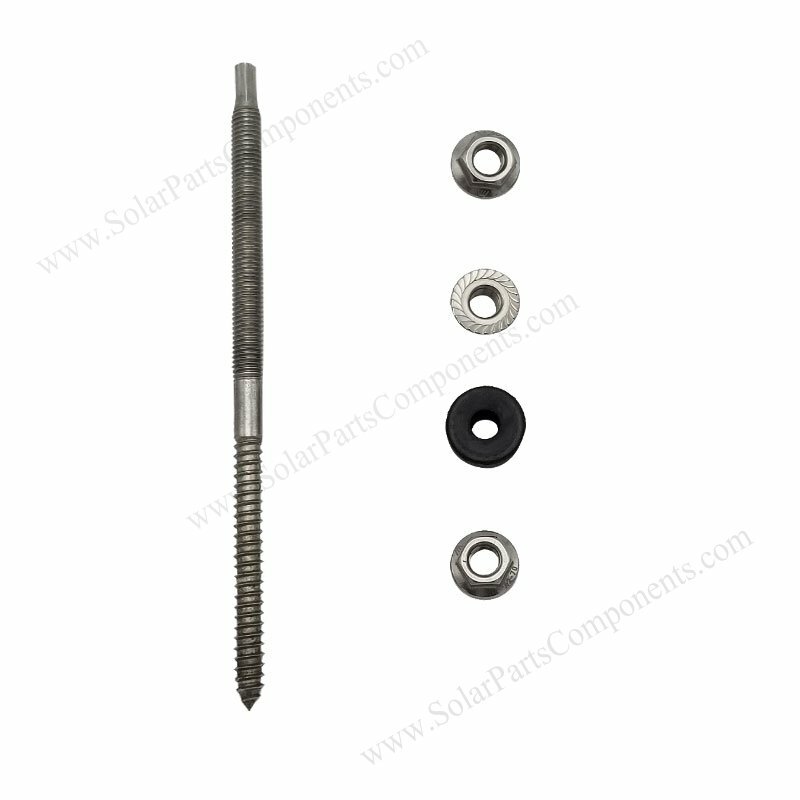 Our EPDM plasic grommet are good performance in bad weather as roof seal, 12 years warranty offer . 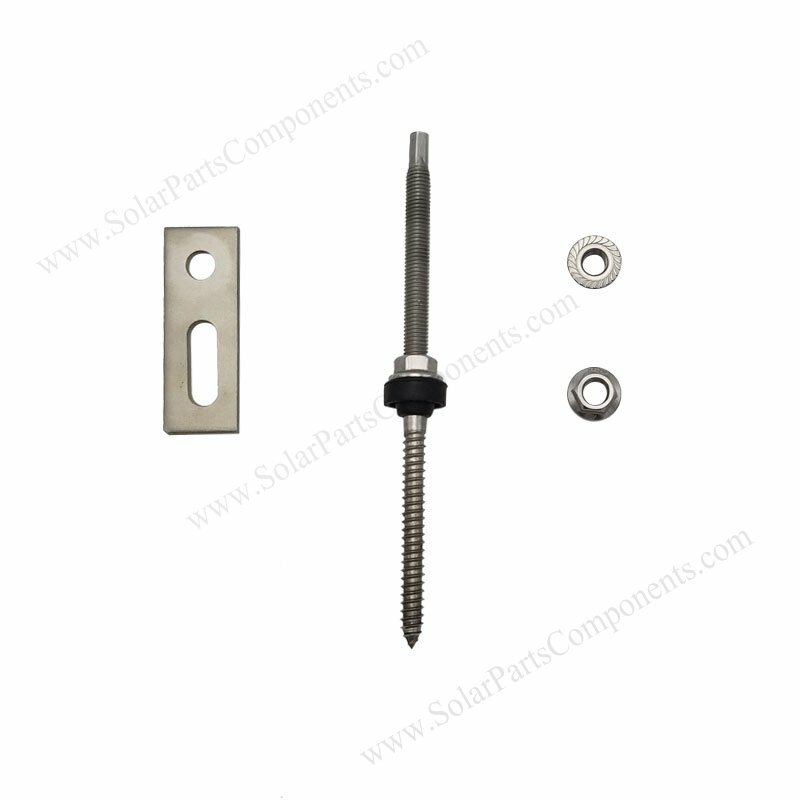 L bracket, mounting rails, mid / end clamps . 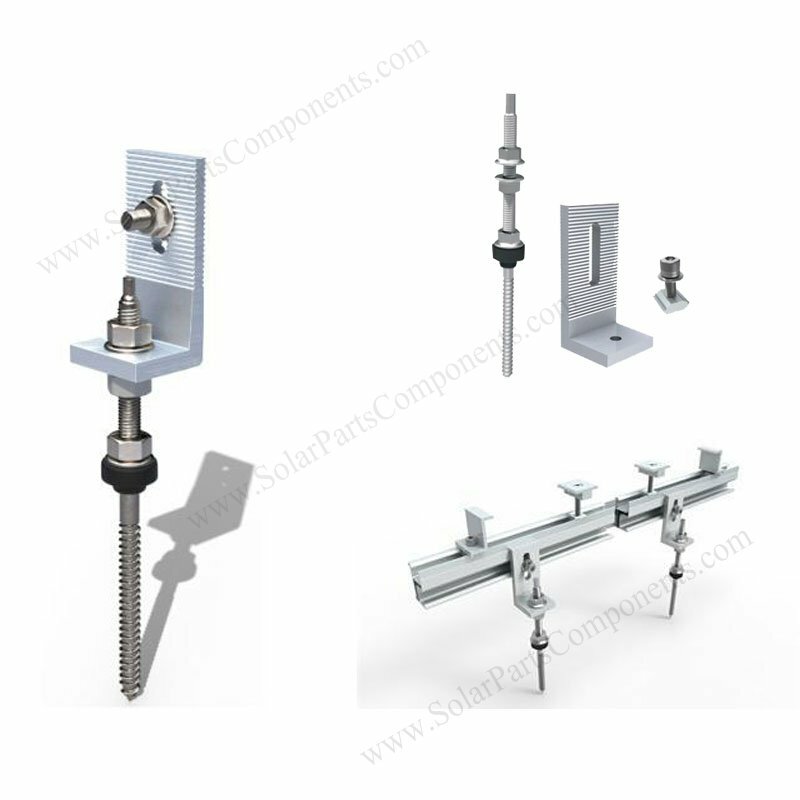 (5) Mounting mid / end clamps . 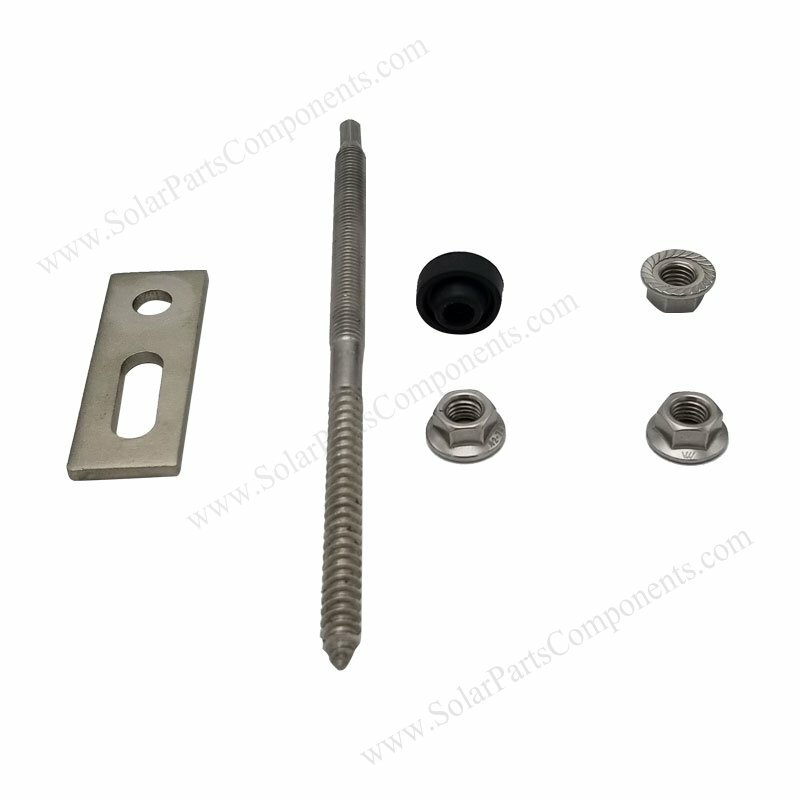 How to using this Solar Hanger Bolts Mounting Components ?